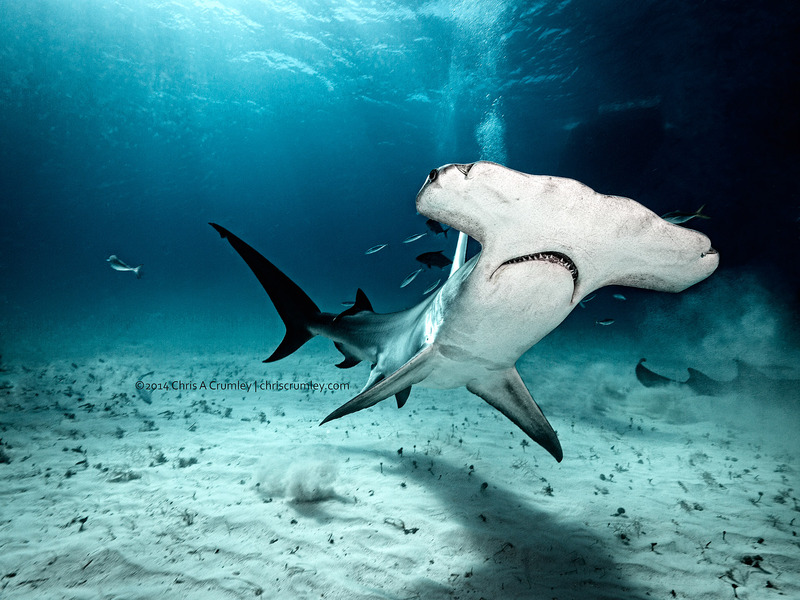 Drones are great tools for getting different photo perspectives, but for different subject matter, Great Hammerhead Sharks cruising by the camera work extremely well. Location: 35' of water off Bimini, Bahamas Islands with some friends specifically searching for these sharks. Bingo. Success.